SATMC aims to become the voice of South African tyre manufacturers and an industry thought leader within the minds of all South Africans. Develop the necessary SABS criteria and regulations for the usage of tyres in order to protect all users. Create a positive relationship with all Governmental Departments nationally and provincially, and relevant Parastatal authorities. Ensure compliance with all legal requirements i.e. Competitions Act, Consumer Protection Act, etc. Stay in contact with all relevant national and international associations, institutions and organizations which are important for the success of its Members. Provide Members with all relevant generic statistical data. Provide Members with all relevant national legal developments, agreements, procedures and regulations, and clarify the impact on business in order to minimize negative effects. Answer questions from the public and Government. Protect the environment by following set standards to reduce waste educe waste. 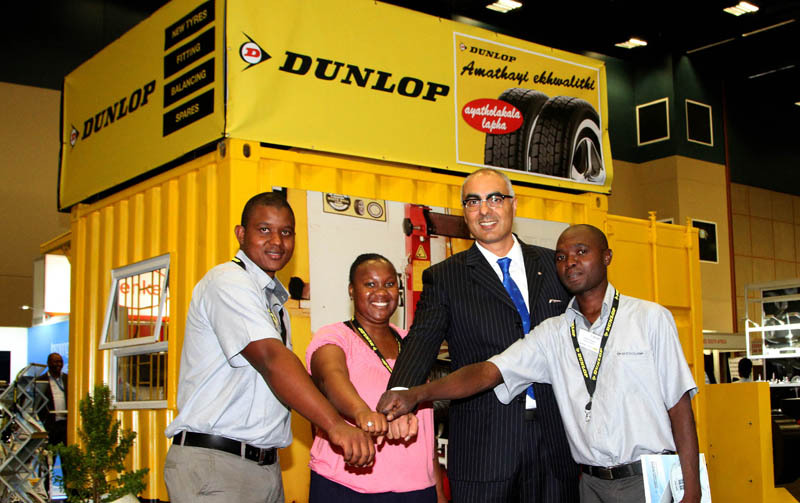 Heeding government’s call for radical economic transformation, Sumitomo Rubber SA (Pty) Ltd has launched the Dunlop Enterprise Development Programme to empower township entrepreneurs through employment creation, skills transfer and training.